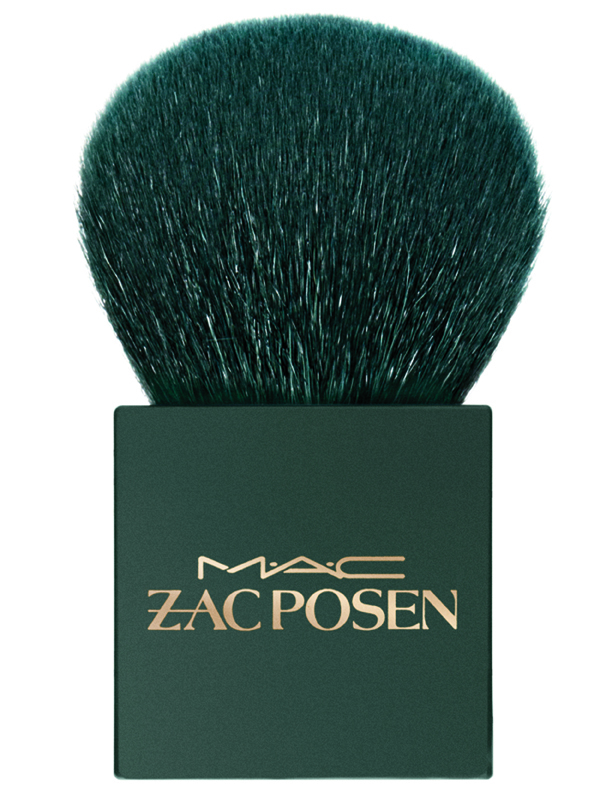 I was hugely excited when I saw the teaser images that M.A.C Cosmetics released last year of their upcoming collaboration with designer Zac Posen, and even more so when I go to actually play with some of the products for real. 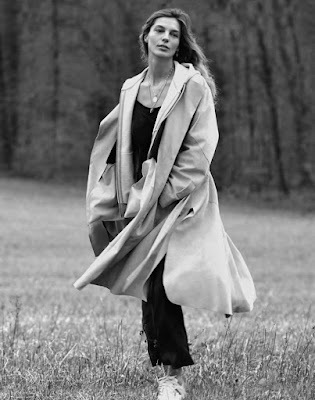 It may well be their most “glamorous” collection yet, and I couldn’t put it more perfectly than Harper’s Bazaar, who called it “one of those perfect, makes-total-sense partnerships that makes you slap your forehead and go, "Of course, what took so long?" The designer hasn't been shy about his love of old Hollywood glamour, which takes the form of perfect red lips, a winged eye and sparkly shadow done by M.A.C. makeup artists backstage at his shows each season. Now the wait for the collaboration between the two is over and you can stock your very own red carpet bag with inky liquid liner, deep red lipstick, a purple eye palette, a bronzer/blush duo and more. "Over the past 15 years I have learned a great deal from M.A.C. about beauty. Fashion and beauty go hand-in-hand and I have always wanted to create a makeup collection to complement my designs and brand. It was only natural to work with M.A.C. 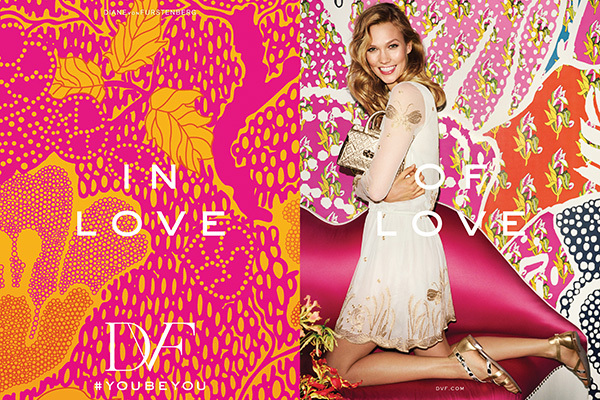 to create my first ever signature collection," said Posen. "I wanted to keep it luxurious, a little mysterious and clean with a large dose of star wattage." And he did all of that, with killer products like my two personal faves from the collection – the amazing, limited edition 182 buffer brush (above) and Dangerously Red (also above), the most perfect Blue Fuschia matte lipstick that will last about two weeks’ tops in my possession. Perfection? You have NO IDEA. Apparently Posen asked himself, "what is modern glamour?" when creating his debut beauty collection, and he definitely answered it. The limited set of basics (mascara, powder, eyeliner, blush, and brushes) and colour (three perfect lipsticks and a to-die-for eye palette) are immediate beauty superstars, or, as Posen put it, "red carpet essentials for every day." Oscar red carpet inspired? 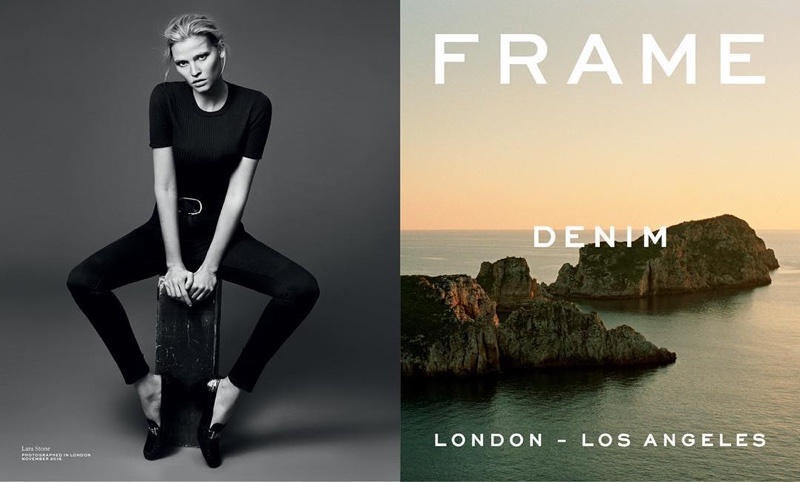 This collection is available right now so get shopping! Just like my skincare, when it comes to bodycare products I look for a formula with at least a modicum of grunt or really, what’s the point? Nice smelling is all well and good, but I want a cream that works for the privilege of being lathered on my bod – and actually makes a difference. Which is why I fell in love with the Hand Chemistry range when it arrived on New Zealand shores mid-way through last year. Sold by Boots in the UK since the end of 2013 — and within two weeks outselling every other hand and body product in the store – it is like advanced skincare for the neck down, and doesn’t scrimp on high performance ingredients. 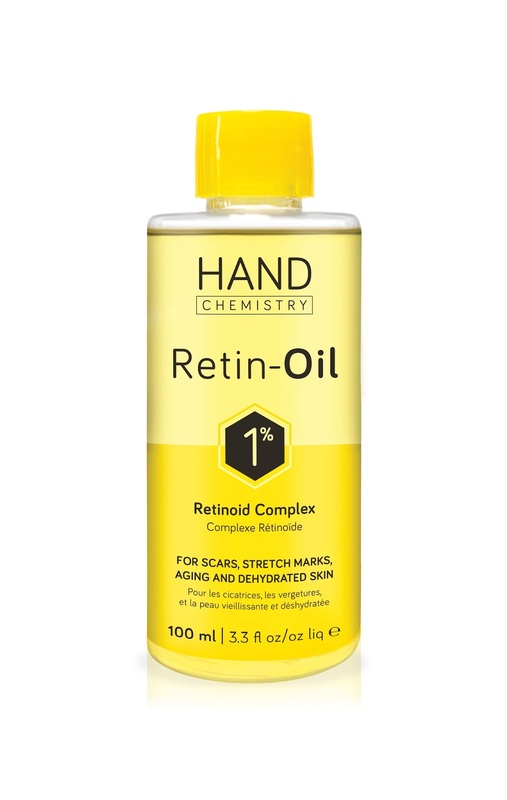 After releasing two bestselling body-care products in Caci clinics all over the country, they are now releasing their most effective all-over body product yet - Retin-Oil. Formulated with Retinoid Complex, the body boosting oil enables you to get a high dose of Retin A – a form of vitamin A that helps the skin renew itself - without need for prescription. Having just had surgery in December and with significant scarring, I could not wait to start applying this on a daily basis – and have done since a bottle arrived. The 100 per cent active ingredient base along with 1 per cent Retinoid Complex offers the same results and treats skin texture, hydration and scars without the irritating effects of Vitamin A. The Retin-Oil cocktail is made up of nourishing ingredients such as Amazonian oils along with oil-derived Deep Sea Algae Extract complex to target and drastically improve the appearance of stretch marks and encourage skin renewal. And as well as being a rich mix it is amazingly dry on the skin, soaking in instantly and leaving no marks on your clothes. How great is that? Targeting scars, stretch marks, ageing, dehydrated skin, surface irregularities and discolouration, this next generation product promises an overall improvement of the skin’s condition whilst restoring texture and significantly reducing fine lines and wrinkles in as little as just two weeks, so I am already counting down the days! I have been applying it daily as needed, and it is apparently best applied at night although I’m not certain why. 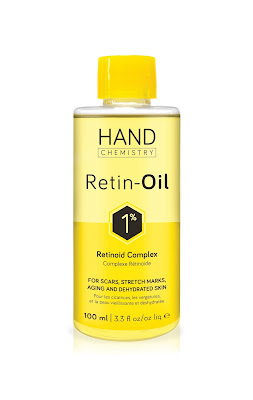 Retin-Oil and other great prods from the Hand Chemistry range are available exclusively in New Zealand at Caci Clinics nationwide. 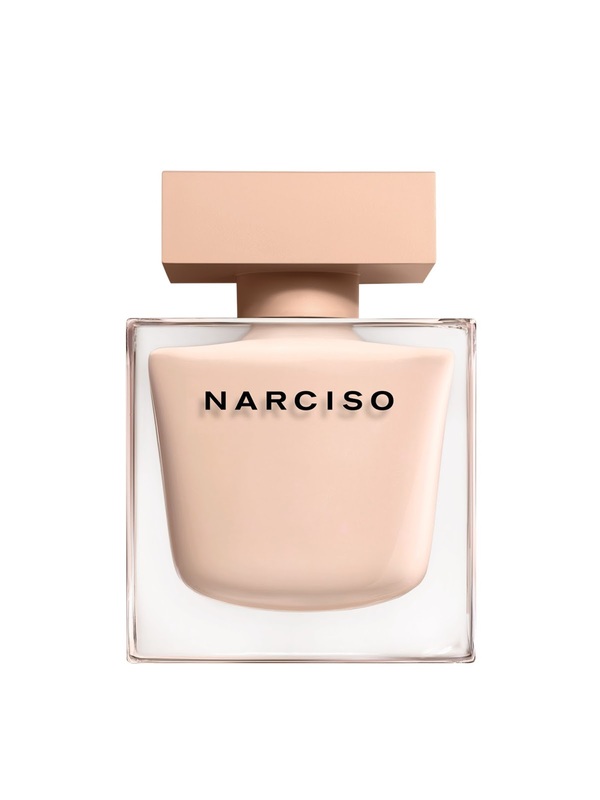 The name Narciso Rodriguez has become almost as synonymous with great fragrance as it is with great design, and the designer has just launched NARCISO eau de parfum Poudrée, a new flanker to 2014's Narciso by Narciso Rodriguez. “NARCISO eau de parfum Poudrée is sensuality and supreme femininity,” says the designer, “It is never overpowering, but impossible to forget.” The creators describe it “enveloping the body with a weightless intensity that’s both fragile and distinctive”, and the soft powdery musc scent really is quite something special. It is light enough on to be worn year round, but also so unique that you know you are wearing something pretty darn special. The mix also includes a velvety smooth floral blend of white jasmine petals and Bulgarian rose with signature woody notes of vetiver and black and white cedars, meaning it is warm but not too warm for a summer’s day – believe me, I’ve tried it! 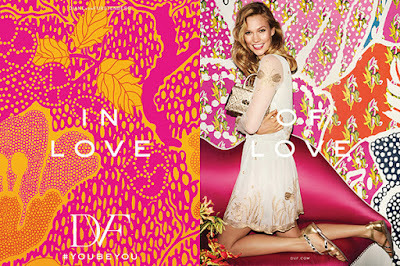 Add to that the exquisite image of Raquel Zimmermann for the fragrance’s campaign (above) and you have one seriously heady – and beautiful – mix. 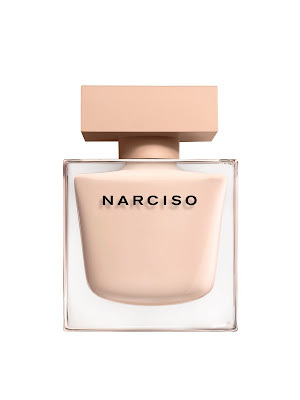 NARCISO eau de parfum Poudrée is available at selected retail outlets licensed by Narciso Rodriguez perfumes from late April 2016. I’m always a tad skeptical when trying in-salon treatments. Mainly because I don’t want to be addicted to using something that I can only use at a salon, and also because many of them make a change for a single wash and then go down the plughole with the next one. 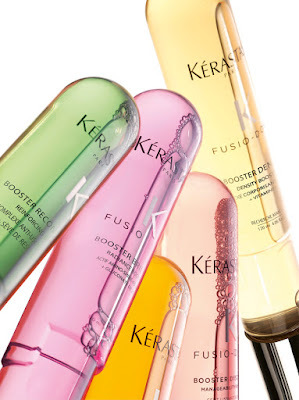 Not so Kérastase Paris FUSIO-DOSE, which launched back in 2011 as the world’s first bespoke hair treatment and was a game changer from the get go, to use a well worn cliché. Fast forward to 2016 and the haircare mega brand has unleashed an even better version of its already kick arse original, with FUSIO DOSE formulas that are now 15 times stronger than before – amazing! The personalised mix of hairstylist-blended super-concentrated active ingredients has been refined even further for better performance. I was lucky enough to be invited to experience the FUSIO DOSE 2.0 at the always luxe Bettjeman’s, where the whole process started with my stylist Sabine giving my hair the thorough once over. The Kérastase stylist inspects the hair for the different types of damage then prescribes the right combination of concentré, the base treatment for primary concerns - and booster, for the hair’s secondary concerns. The booster dosage has been multiplied by 15 and each formula, with its star active ingredient, is presented in a new type of container to ensure maximum treatment efficacy. The new mixing system means that the formula comes together using an intelligent system enabling delivery of the proper dose of booster into the concentrate. The instant merging of the active ingredients, which disperses a coloured volute into the concentrate, is performed by the hairstylist right in front of your eyes like a cocktail mixologist. Then it is applied to your hair and blissfully massaged in to guarantee ultimate, instant hair transformation. Twenty tailor-made mixtures are possible to ensure the perfect treatment for any hair type and the whole process from start to finish takes – by my timing – less than 20 minutes. As in step 1: You and your Kérastase consultant select a concentrate according to your primary hair need, then select a Booster according to your secondary hair need. Step 2: Both products are fused together. Step 3: The treatment is applied onto washed and towel dried hair, section by section and then rinsed. After the treatment I could instantly see a difference and it lasted long after my blow wave. My hair still feels a hell of a lot better than before I saw Sabine, and that is literally a good few weeks after. Highly recommend! The new Kérastase Paris FUSIO-DOSE is available now at RRP $35 per treatment. 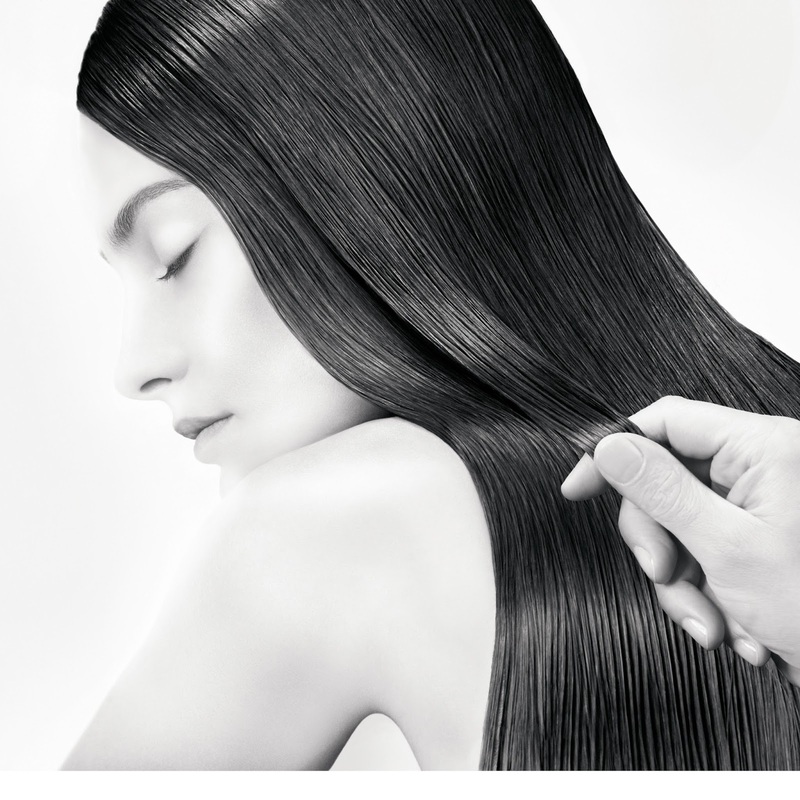 To locate your nearest salon visit www.kerastase.co.nz - I recommend the amazing Bettjeman's here. The latest beauty to earn the title of global Maybelline spokesmodel is Tanzanian supermodel Herieth Paul. Just in time for New York Fashion Week, Herieth joins Maybelline New York’s prestigious roster of devastatingly stunning and inspiring women that includes Christy Turlington, Adriana Lima, Jourdan Dunn, Emily DiDonato, Gigi Hadid and a host of other global beauties. With her unique beauty and stunning runway presence, Herieth has set the fashion world ablaze and is loved as much for her personality and sass as her killer cheekbones. 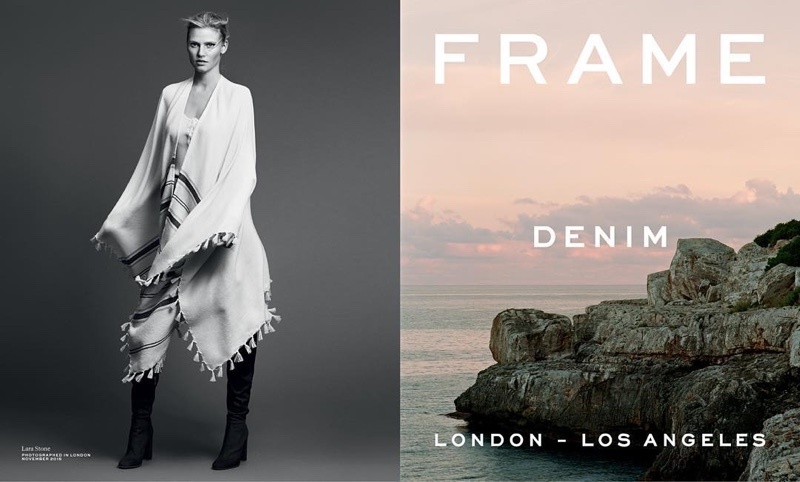 Herieth has been the face of a variety of advertising campaigns including Tom Ford, Polo Ralph Lauren, cK One, The Gap, Diesel, Edun, and Rodarte. Born and raised until the age of 14 in Dar es Salaam, the largest city of Tanzania, Herieth is a huge advocate of educating young Tanzanian adults. She acts as a mentor to teens from her hometown and has provided scholarships to those in need, having sent five students to college during the past couple of years. Beauty, brains and a major social conscience – once again Maybelline, you nailed it! According to heritage skincare brand Kiehl’s research, as many as 78 per cent of women in France, 70 per cent in the US, 69 per cent in Japan and 65 per cent in China cite dry skin it as a major concern. This comes as no surprise given the extremes in the planet’s temperature these days, the use of technology to combat it, and the fact that dry skin has been linked to stress. 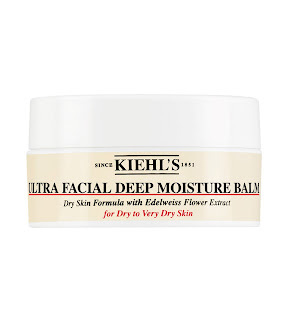 Modern life is sucking the goodness out of us all, so thankfully the kind people at the likes of Kiehl’s are here to save us – one awesome product at a time! Their latest beauty is a new hydration innovation in the form of Ultra Facial Deep Moisture Balm. Featuring the extract of one of the most resilient flowers on the planet, the Edelweiss Flower, it is a little marvel in a tub. 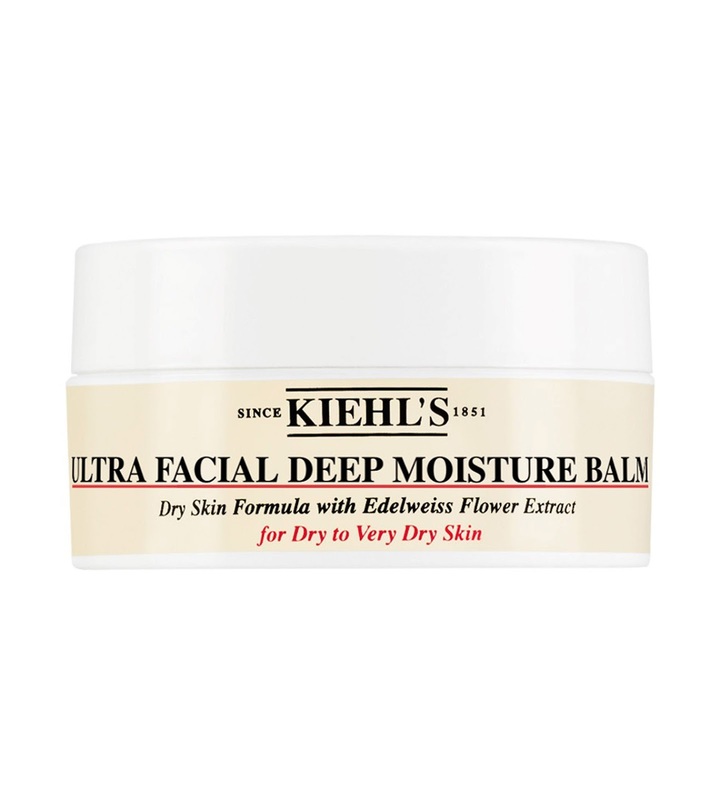 In addition to Edelweiss Flower Extract, Ultra Facial Deep Moisture Balm contains a blend of ingredients that bind water, help replenish skin barrier’s lipids and improve skin’s mechanical properties to leave dry and very dry skin looking softer, smoother, hydrated and healthy. Covering all of the bases and fast? You bet. Kiehl’s chemists have been busy innovating in the hydration category since the 1970’s, and their advanced understanding of hydration and its important role in maintaining healthy skin and protecting skin’s barrier is second to none. This is the direct result of that history, and why it works from the get go. Part of their Ultra Facial line up of products, this latest product delivers a punch of moisture and much needed comfort to dry and very dry skin types, as well as being a great multitasker to have on hand when your skin is in need. Inspired by their Ultra Facial cream and gel-cream counterpart, the new balm has some serious SOS powers for any skin types that crave intense nourishment day and night. As well as the aforementioned skin strengthening Edelweiss Flower Extract, it is fuelled by the super moisturising trio of Antarcticine, Squalane, and Glycerin to give rich hydration to dry and very dry skin. In a clinical study conducted in Colorado Springs, Colorado it was demonstrated to increase skin hydration by an incredible 43.3 per cent after just one week of use and 61.1 per cent after 4 weeks – definitely serious results if ever I saw them. Dense but incredibly easy to spread once warmed a little between the fingertips, the new Ultra Facial Balm softens literally melts onto your skin in the most delicious way possible. Since Shea and Cacao Butters are on the ingredient list it has very user-friendly texture, and when pressed into the skin, it absorbs easily and promptly corrects dry, flaky patches for a smooth, hydrated look. This in addition to stimulating collagen and elastin production, antioxidant protection, and improvement in the skin’s barrier function? Just brilliant. I can see this baby being an essential part of my skincare arsenal when the winter hits, when I’m travelling and post-facial peel or similar as it’s such a soothing, hydrating formula. A winner in my books, and think in yours too. I know it is WAY too hot at the moment to even think about exercising, but this weather is all about the layers dropping off so you have to keep your workout game on point. Nike are always there to lend a hand with their killer Nike+ Training Club app (if you don’t have it then get it now – it’s free so no excuse!) and always have cool events on the horizon to train towards. 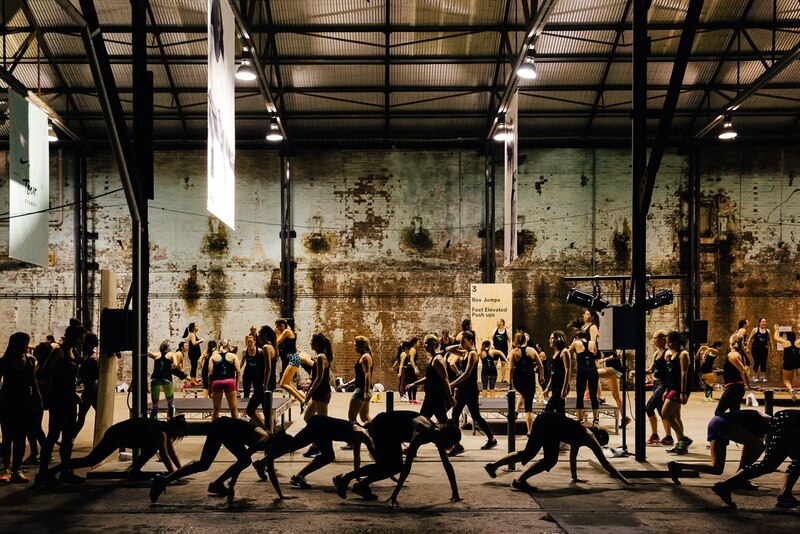 The latest will be taking place in Auckland where the mega brand is set to “bring the heat to the streets” with an epic workout experience like no other for 500 Auckland women. 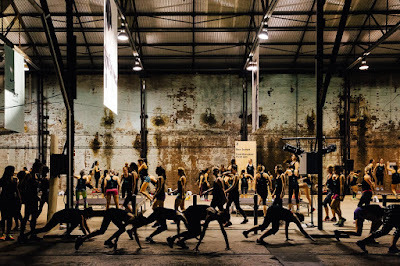 New Zealand’s first Nike+ Training Club (NTC) LIVE event will be hitting Auckland’s Next Gen Dome in full force on Saturday 19 March with an international Global Nike Master Trainer to be revealed, leading the session. a fully immersive, 6 week training program from now until 19 March, led by Global Nike Master Trainer Kirsty Godso, Nike NZ Head Coach Lydia O’Donnell and other leading NTC trainers. Each Saturday session unfolds in various iconic Auckland locations. Guests can check www.nike.com every week as the pop up locations are revealed and registering to secure a spot is essential. This year Nike encourages women to recruit their training squads, and together push their limits to stay on track during the intense training program, leading up to March. Participants are encouraged to share their journey with the hashtag #ntcsquadgoals to help stay motivated and chart their progress. During those essential moments of rest at NTC LIVE, women participating will have access to premium Nike services and products, including lounge areas, beauty and massage stations and the opportunity to view current Nike collections. In other words, unmissable stuff. JUST DO IT, okay? Registrations are open now at www.ntctour.co.nz for Auckland’s first NTC LIVE session and spots are limited. Today the M.A.C AIDS Fund – M.A.C Cosmetics’ philanthropic foundation – presented Positive Women Inc. with a $148,301 NZD grant to support their efforts in working with women and families living with HIV and AIDS in New Zealand. This donation will aid in the administration costs of the organisation which provides a support network for women and families living in New Zealand with HIV or AIDS. The grant will also provide direct assistance to improving the lives of New Zealand women and their families affected by the virus through the Seminar Program initiative, which provides latest information on HIV for the wider community and women living with HIV. The program helps to reduce the isolation that many women living with HIV experience due to HIV relate stigma and discrimination. 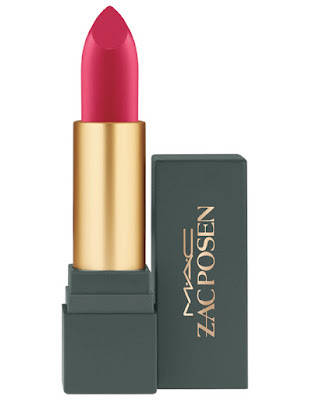 This donation comes directly from the New Zealand sales of M·A·C’s #VIVAGLAM lip products. This is the eleventh year that Positive Women have received funding from the M.A.C AIDS Fund, with 100 per cent of the selling price of M.A.C’s #VIVAGLAM line of lip products going directly to the fund to benefit grantees. To date, the company has raised more than $400 million (USD) to fight HIV and AIDS internationally. 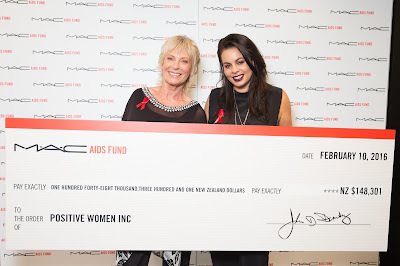 Locally, M.A.C has raised over $2 million (NZD) for the MAF and has donated the majority of those funds locally to New Zealand non-profit organizations fighting the epidemic here in New Zealand. The grant presented today to Positive Women also marks another momentous milestone as it means that the M·A·C AIDS Fund has to date donated just over $1 Million NZD to Positive Women Inc. M.A.C New Zealand has been working with Positive Women since 2004. Past grants to Positive Women have included funding projects such as their Digital Storytelling initiative where courageous NZ women living with HIV found their voice and shared their story, their De-stigmatisation Campaign encouraging people to forget the stereotypes of the virus, and the making Altered Lives, a short film about four New Zealand women living with HIV. M·A·C New Zealand also works closely with other local HIV organizations to provide them with financial support to service people living with HIV and AIDS in New Zealand. Grants have funded other projects such as Body Positive’s Rapid HIV Testing campaign encouraging people to get tested for HIV and the setup of the INA HIV and AIDS Foundation whose goal is to improve the quality of life for those affected by HIV and AIDS within the Maori, Indigenous and South Pacific communities in New Zealand. Helping to drive fundraising for the M·A·C AIDS Fund have been a cadre of celebrity spokespeople. Each connected with a specific shade of VIVA GLAM Lipstick, these spokespeople have made public appearances and appeared in advertisements to raise money and awareness for the fight against HIV and AIDS. The inaugural VIVA GLAM spokesperson was performer, RuPaul. Since then, others have joined the ranks, including k.d. lang, Mary J. Blige, Sir Elton John, Shirley Manson, Lil’ Kim, Missy Elliott, Boy George, Linda Evangelista, Chloë Sevigny, Christina Aguilera, Pamela Anderson, Debbie Harry, Lisa Marie Presley, Eve, Dita Von Teese, Fergie, Cyndi Lauper, Lady Gaga, Rihanna and Miley Cyrus. Currently the face of the M·A·C AIDS Fund is glam girl, Ariana Grande pictured below. How beautiful is that lip? Above, Tanya Jackson, Brand General Manager M.A.C New Zealand, presents $148,301 NZD to National Coordinator Positive Women Incorporated, Jane Bruning. Beauty writers/editors always rave on about the perils of dull winter skin, but in my humble opinion it can be just as bad – if not worse – in summer. I find it is mainly down to a hell of a lot of reapplication of sunscreen (a good thing) as well as using dry shampoos and the like on your hair that can have a trickle down effect on the skin making it a little more congested than usual. 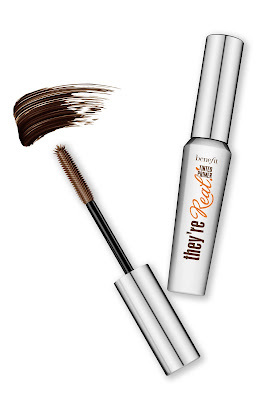 Add in the humidity and oil production in overdrive and BAM – lacklustre summer skin at its worst. This means that regular exfoliation is key – like once a week religiously, rather than overdoing it and aggravating an already touchy situation. Finding the right product is key too, and I’m very picky when it comes to that. I’m not a huge fan of harsh, granular manual exfoliation due to the stresses it can put my often-sensitive skin under, but love using a great enzymatic-style exfoliator that gobbles up dead skin cells like Pac Man for an instant glow when and where I need it. High performance but super lightweight to use, Aspect’s Fruit Enzyme Mask one I have tried and become a huge fan of. Not only does it smell bloody lovely, but it’s a power packed, potent antioxidant-rich exfoliation mask that has been carefully formulated to gently digest and eliminate dead skin build up without irritating or harming sensitive – and even post-procedure - skin. The blend of powerful antioxidants in the delicious formula include Coffee, Green Tea, Pomegranate and Acai Berry, all of which are beauty “buzz” ingredients with very good reason. 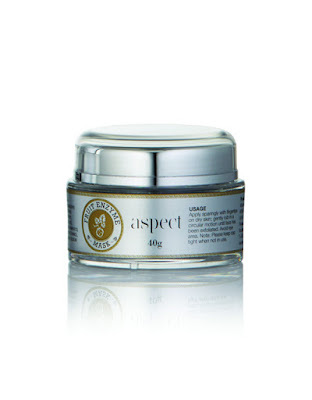 Also in the “plus” column, Aspect Fruit Enzyme Mask is free of pesticides, parabens, perfumes or dyes so you know it isn’t bringing any nasties along with the good stuff. I’ve been using it once a week for a few minutes at a time, applying it sparingly and then gently rolling it in using circular movements with my fingertips and so far, so awesome. It’s so gentle that it can be used post peel and post all in-clinic procedures to address flaking skin, and the calming, soothing and hydrating properties mean that it heals as well as gently sloughs off all in its path. You can massage it in and leave it on for anywhere between 10 – 15 minutes depending on your skin type – I usually go for the former and have nothing but amazing results. The Best Enzymatic Exfoliator on the market in my humble opinion – and that is no small call! I think of myself as somewhat of a connoisseur when it comes to yin yoga – I have seriously tried what is perhaps every class of its type in Auckland, with varying degrees of success. So when I make the call that I may have found the city’s best yin class, I am not messing around. Where did I find it? At a brand new Auckland yoga destination that is committed to “shaking up the yoga scene” with its quality hot yoga experience, masterful teachers and retreat-like setting. It’s called Studio Red, and it is located in Auckland’s City Works Depot, making it super central and an absolute bonus for the plethora of people who are now working in that area. It opened its doors at the end of last year but I have only recently been wooed by its charms, in particular the aforementioned yin offering hosted by the amazing Erica Davis. Her super soothing, mellifluous tones coupled with one of the best uses of music in a yoga class make it top notch, not to mention the completely gorgeous surroundings. Those surrounding are the work of award-winning “it” architects Cheshire Architects, who have created a light, airy and totally contemporary space featuring elegant fittings and little luxuries that make it hard to leave. Coupled with its sophisticated temperature and ventilation control system, which filters fresh ventilated oxygen continually throughout the room, Studio Red is far from your average yoga destination. And definitely far from most hot yoga studios, which can be a little challenging not on the bod but also on the senses – if you know what I mean! “We want Studio Red to be more than just a place to practice yoga,” says owner Vicky Cullinane. 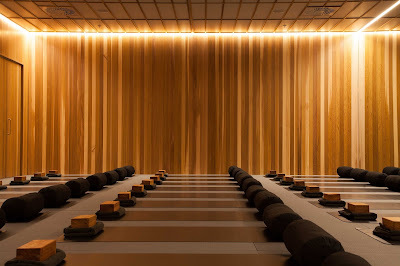 “It’s designed to be a modern sanctuary that feels more day-spa than fitness studio - and a real experience in itself.” That it is, and with a team of hand-picked, kick arse teachers (see above) hosting a range of classes it can only succeed. Teaching contemporary, yet authentic, yoga is at the very core of Studio Red’s mantra, and the variety of classes embody this vision, including Hatha, Vinyasa, Yin Yoga and Vinyasa flow to music. While yoga is celebrated worldwide for its compelling effects on physical wellbeing, the team at Studio Red are also inherently focused and passionate about the holistic benefits of yoga, and how practising can improve all aspects of life, including confidence, focus, and direction. “At Studio Red, we have worked hard to create a truly inclusive studio and welcome anyone and everyone looking for an amazing yoga experience to come and try it out. Yoga can truly benefit people from all walks of life, and we want to help them discover it,” says Vicky. 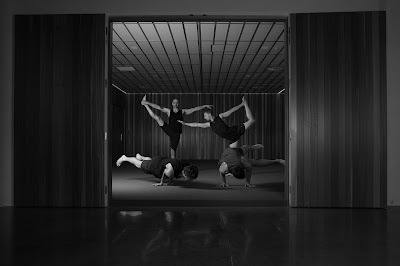 Check out the space and the class offering at www.studioredyoga.com - you won’t fail to be amazed! 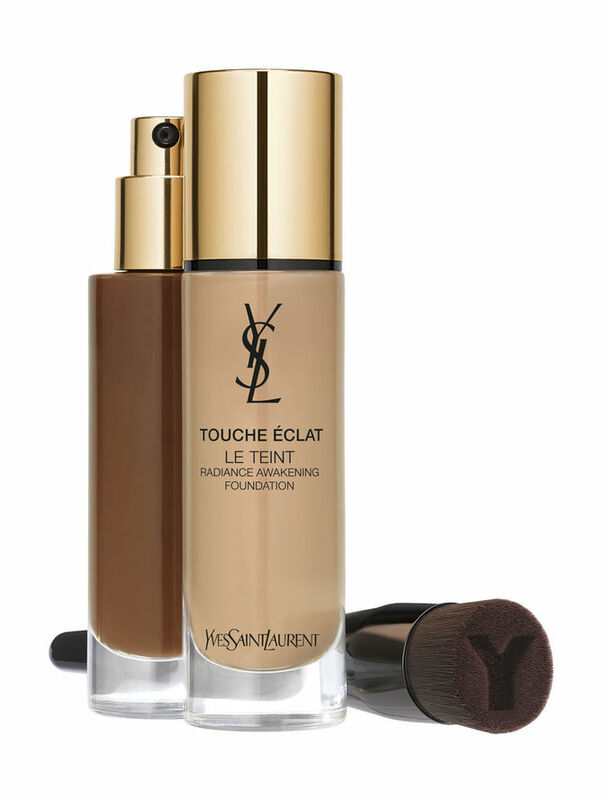 With one reportedly sold every 10 seconds around the world, Yves Saint Laurent's Touche Éclat highlighter has been a beauty icon ever since its launch in 1991, and suffice to say it has never left my makeup bag. It has officially been the global weapon of choice for bringing a wide-awake glow to the complexion for an amazing 23 years and they don’t call it “eight hours of beauty sleep in a click” for nothing! YSL Beauté toiled to create a foundation that could match the illuminating prowess of the little wonder wand, and in 2012, Le Teint Touche Éclat was born. YSL's creative director of make-up, Lloyd Simmonds said at the time that he wanted to create a foundation that gives the entire face the same “lively, vibrant light” as its namesake. "Natural, feather-light, but with a touch of very Parisian, very Saint Laurent sophistication that beautifies the skin and makes the complexion expressive. I like to call it a dewy luminosity, as fresh as dew on the complexion - and definitely not shiny." It was an instant hit. Now the bestselling foundation is available in an advanced formula that reduces the look of fatigue and creates flawless coverage, and after having a good old play with it I have to say that I am smitten. Called Touche Éclat Le Teint Radiance Awakening Foundation, it is enriched with something called Ruscus Extract, an anti-fatigue formula that energizes skin by stimulating microcirculation and targeting dullness to instantly improve the look your skin’s brightness and luminosity, while the Vitamin E protects against free radicals. It is also formulated with SPF 22 to provide sun protection, feels totally weightless finish and promises eight hours of a “refreshed, radiant look”. I’m sold! Promising the aforementioned “eight hours of beauty sleep” in a drop, it has translucent hybrid semi-spheres added to golden pigments to capture light and diffuse a continuous, controlled, soft radiance all day long - without any shine. The latter is a huge bonus in this humidity especially, and has made wearing it an absolute joy. Begin by making circular movements on the face with the brush, massaging the foundation into the skin, starting from the centre of the face and moving outwards, spreading it evenly. For any areas that need a bit of extra attention, tap into the skin with a stippling motion to deliver more product where you need it – like around the nose, chin and forehead. Keep the layer as thin as possible to help unify the colour. Both are on counter 21 March and I can’t recommend them enough!